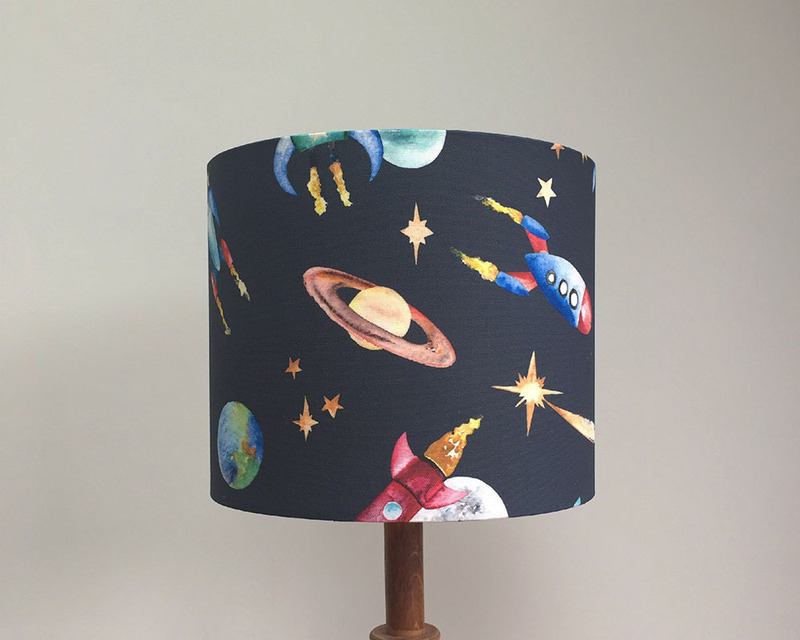 Rockets zoom across the sky exploring space in this bold and fun lampshade. Lampshades and pendant shades come in two different sizes and are ready to be used. Please select whether you would like to use your shade on a ceiling pendant or lampstand. Lampshades should arrive within 3-4 weeks. Also available as a wallpaper. Also available as a print. 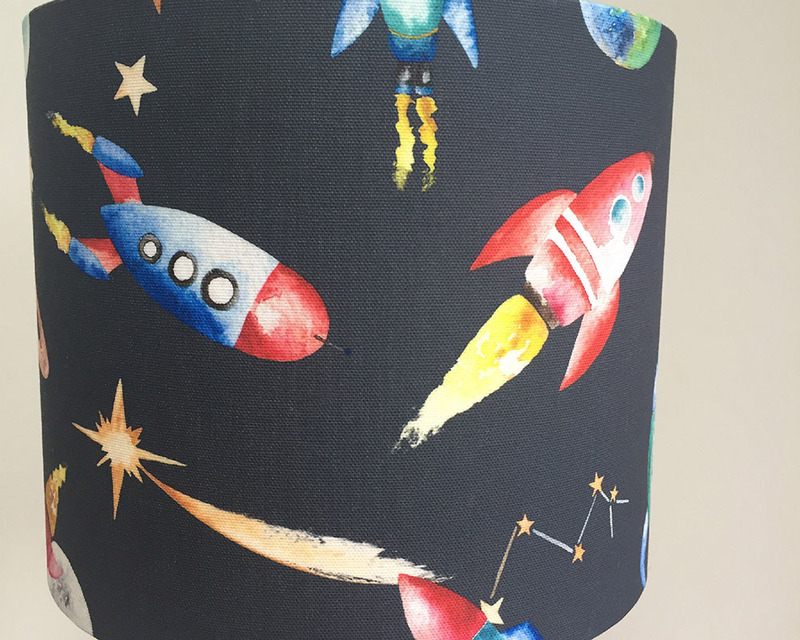 Would you like a lampshade in a different design, colour or size? We can create a bespoke shade just for you. Please get in touch.